Microscope World Blog: What Magnification Do I Need? Working with microscopes, we often get asked what magnification is needed to look at a variety of specimens. Here are some common items that are viewed under the microscope and the magnification required to view them. 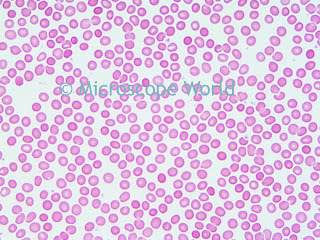 Blood - a minimum of 400x magnification is best for viewing blood cells. 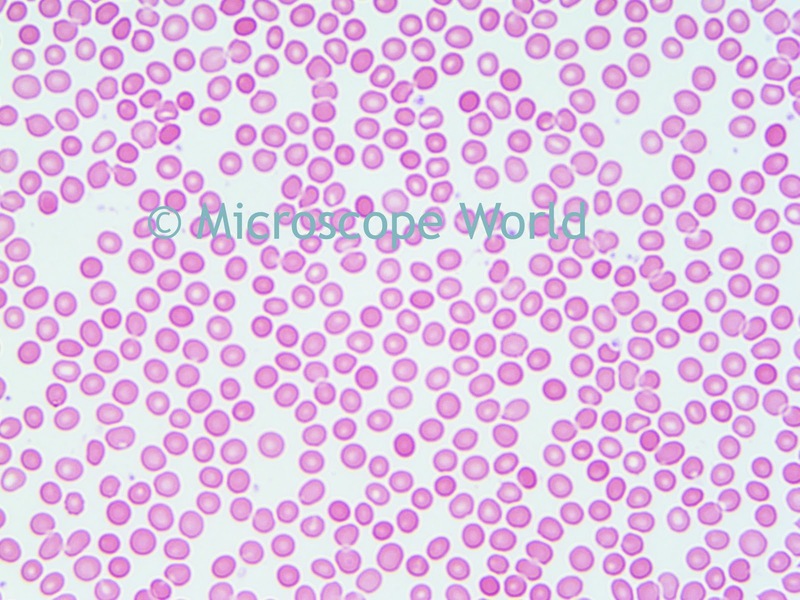 The nucleus of a blood cell can be seen at 400x magnification, but more detail can be viewed at 1000x. Bacteria - 400x magnification is required in order to identify bacteria. Coins - it is best to view coins anywhere between 10x-30x magnification. Stamps - stamp collectors most commonly use 20x magnification. Printed circuit boards - between 10x-40x zoom magnification typically makes viewing details and flaws on printed circuit boards easier. The stereo zoom function is helpful. Insects - anywhere between 10x and 30x magnification is best for viewing spiders, ants and insects. Human blood under the microscope at 400x magnification. Captured with the Swift M10-LB digital microscope.